What do you think of my dress down Super Bowl look? *In case you were wondering, I whipped up a batch of Feta-Stuffed Buffalo Chicken Meatballs and some sort of extreme nachos based on the Double Decker Taco Cupcakes I intended to make but regretfully didn't pick up wonton wrappers. 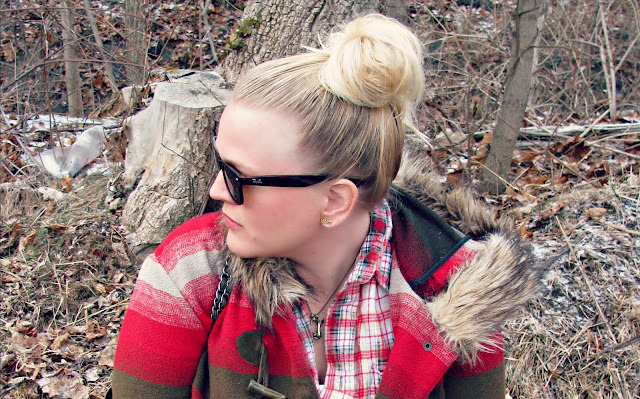 LOVE the plaid. Perfect for weekends & perfect for Winter layering. this is such a cute casual look for the super bowl! love that BB Dakota coat. Thanks so much Camilla! That coat is my pride and joy haha, it's not very thick but I'll wear it in the freezing cold anyway, that's how much I love it! Alicia, that coat is everything haha! nice and comfy. love the necklace. 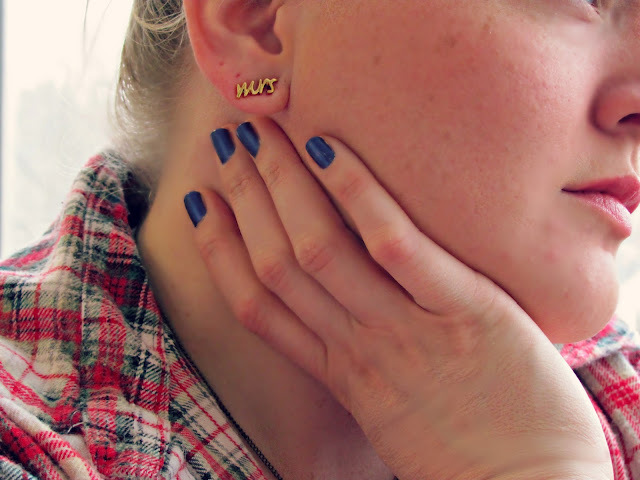 Love that flannel DIY you did and cute KS studs! Thanks pumpkin, I love wearing stuff I worked on myself!